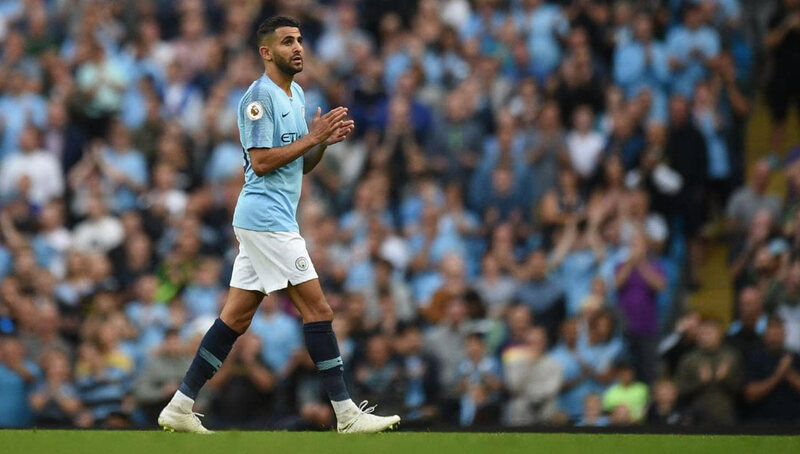 Groomed in the streets of Paris, Manchester City winger Riyad Mahrez has become one of football’s most electric players. The Algerian international dazzles audiences with his adept ball skills night in and night out — skills that are rooted in his childhood playing street football. We take a look at how Mahrez’s street roots have made him become the player he is today. Watch Manchester City’s slight No. 26 glide past Watford earlier this month and you’ll see a silken maestro, a polished technician who subsists on Cruyff turns and whipped crosses. But look closer and you’ll see something familiar, something foundational to his game that other top-level players either lose or never have. 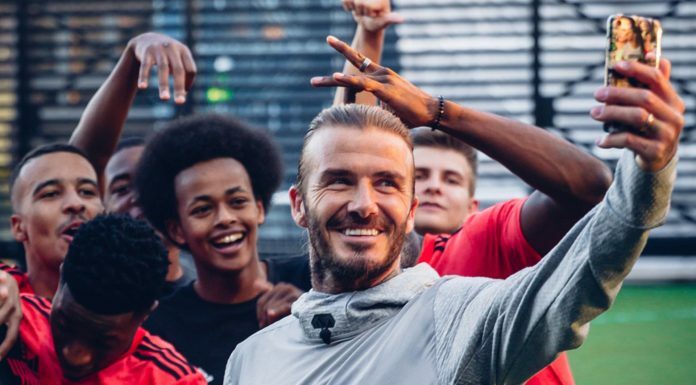 Behind the deft left foot and neatly slicked back hair is a pure street footballer, a diminutive young man whose love for the game and technical prowess was forged in concrete pickup games with friends. How exactly has Riyad Mahrez turned his street football background into Premier League quality? By staying true to his roots. To find where Mahrez was introduced to the beautiful game, you need to take Paris’ RER D train north, past the site where France first hoisted the World Cup trophy in 1998. Two stops and 10 kilometers beyond the Stade de France is the banlieue Parisienne (Parisian suburb) Sarcelles, a 60,000-person community largely comprised of French-Algerians, both Jewish and Muslim, who immigrated to housing developments in the outskirts of Paris during the 1960s. Look at the list of famous people born in Sarcelles and you’ll notice a theme — they’re nearly all footballers. Street football is at the heart of many communities surrounding the French capital, where asphalt fields have become legendary for the players they’ve produced. The 2016 documentary Ballon sur Bitume puts this street culture on display, featuring Mahrez among others to show how the concrete game influenced some of today’s top players. There’s a special twinkle in Mahrez’s eye when he talks about baffling defenders. To French street footballers, the game is all about les beaux gestes; la technique — it’s a flurry of flashy dribbling while delighting the onlookers and embarrassing the player across from you. Winning is nice and all, but Mahrez admits that a game isn’t the same if he hasn’t bamboozled an opponent with a moment of skill — a match won 4-0 is still a point of frustration if he returns home without showing his quality. This seemingly selfish notion is not to be confused with a misunderstanding or under-appreciation of the collective. In fact, Mahrez describes this killer one-on-one mentality as a product of the group dynamic in street football. During the street games of his youth, onlookers and teammates alike urged him to take on defenders, to make the difference in the game. This was what was expected of every player on the pitch — eliminate your opponent from the game and your team will be successful. Even in Pep Guardiola’s notoriously pass-centric system, Mahrez still plays like he’s back in Sarcelles, imploring defenders to try him one against one, floating past them at every opportunity. Mahrez is quick to remind people that technique is not just a gift of the street footballer — it is the product of practice and hard work. For him, the most technical players come from the street because repetition is at the heart of the street game. At every chance he had growing up, Mahrez was at the concrete pitch outside his apartment building playing with his friends, enjoying himself but improving all the time. At the age of 13, an undersized Mahrez signed with his local team AAS Sarcelles, where he spent six years developing his game in the same way he had in his youth, taking on defenders at every possible opportunity. In 2009, his skills allowed him a move east to Quimper, a small side in the fourth division of French football. 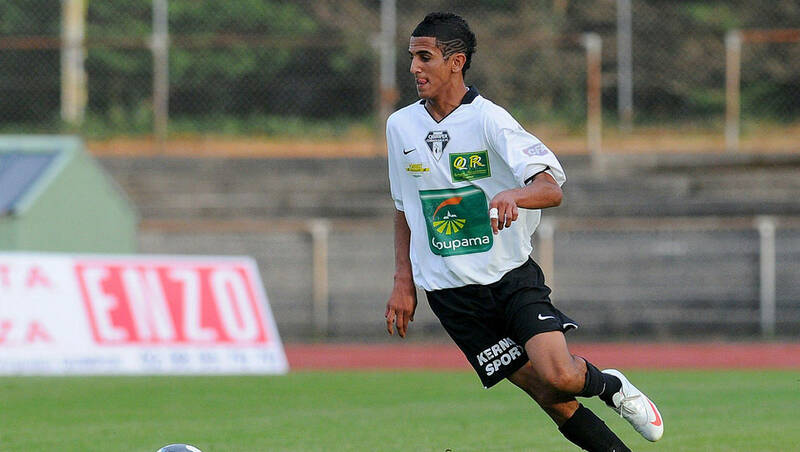 Although Mahrez only featured 22 times that year, his quality had turned a young boy from Sarcelles into a prized prospect, attracting the attention of PSG and Marseille. Mahrez with Quimper in the 2009-10 season. When the 2009-10 season finished, instead of succumbing to the big money offers, Mahrez shunned the clout of the French giants for a home in the north of France with Le Havre. The sell? 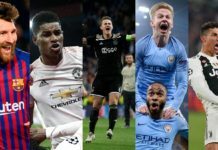 Their famed youth program, which has seen the likes of Ben Mendy, Dimitri Payet, Steve Mandanda, and one Paul Pogba pass through the system. As is promised to Le Havre youth players, Mahrez was able to climb the ranks and feature in over 50 Ligue 2 games between 2011 and 2014. At this point, if you’re like me, you’re looking at the year 2014 with wide eyes — only two years before he was named Premier League Player of the Year. For Mahrez, there’s only one way to explain such an astronomical ascension — belief. 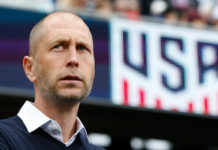 The Algerian international preaches the importance of trusting your abilities as the most important lesson that his street upbringing taught him. A January move in 2014 to then Championship side Leicester saw the Wolves win the title and get promoted to the Premier League. Needless to say, Mahrez believed that he was up for the challenge. 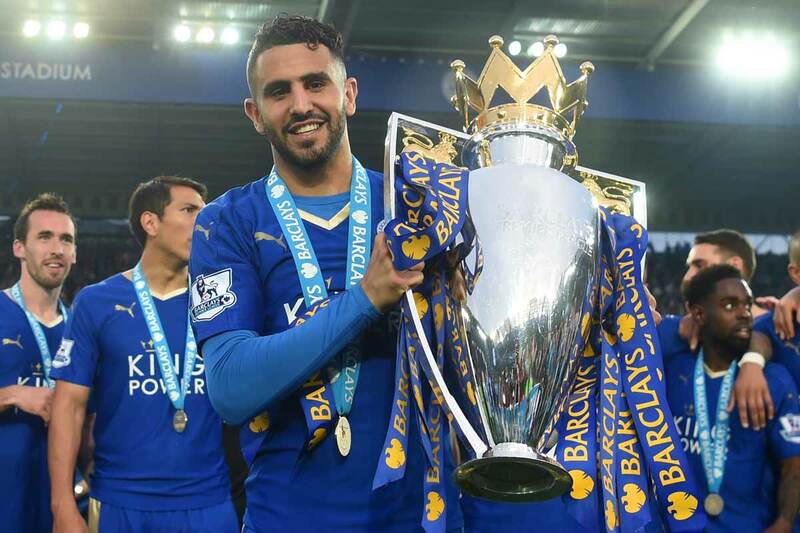 His breathtaking 2016 season (only his second in the Premier League) saw him accomplish everything short of a Ballon d’Or victory — Leicester improbably hoisted the Premier League trophy, and Mahrez was named the BBC African Player of the Year. Although his footballing foundation is very much cemented, there’s no telling what trophies Mahrez will add to his collection before he hangs up his boots (and likely goes back to playing street football his friends). In fact, Mahrez’s killer mentality in the final third might be just what Manchester City need this year to win back-to-back titles. The €50 million summer signing has already brought goals and creativity to a dominant Cityzen side, and he’s done so by playing the only way he knows how — the way of the street. Really like this take. 3v3 street soccer game – who are you picking as your two teammates? It might be a cop-out, but I’m gonna pick two other guys from the Ballon sur Bitume documentary—Ousmane Dembélé and Medhi Benatia. Wanted to go Aurier but me and mosquito are going to need some more muscle.